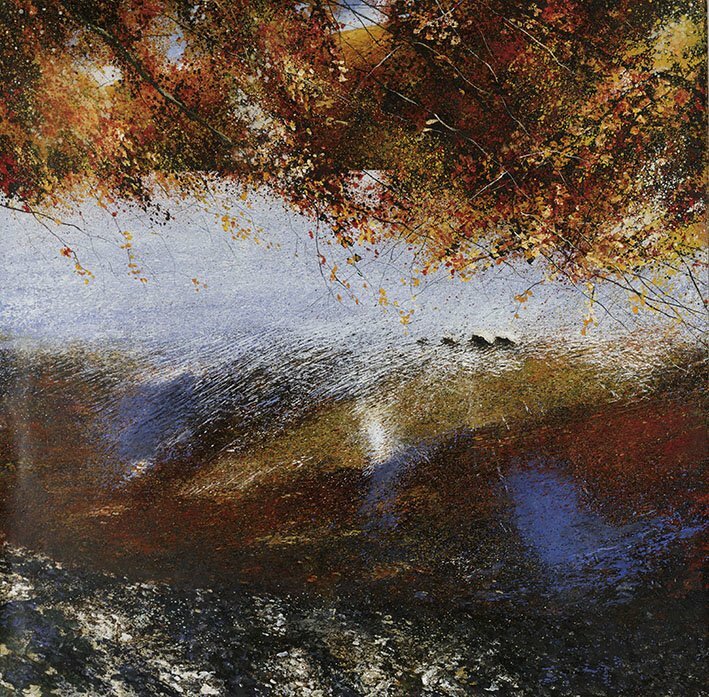 Rory is widely known for his vibrant and richly textured mixed media landscapes. Between 1985 and 1988 he studied Illustration at the Chelsea School of Art. However, Rory spent most of his time doing Fine Art Printmaking and in the latter stages of his degree, focused on mixed media painting. Following his graduation he worked as a freelance Artist mostly working within the corporate sector. It was during this time that Rory acquired a number of awards for his City Landscape mixed media work. Rory has contributed to the Royal Academy Summer Exhibition on a number of occasions including in 2015. His work is featured in public and private collections both in the UK and abroad, including British Gas, Rank Xerox, London Borough of Barnet and Hertfordshire County Council. ... “Through my paintings I seek primarily to reflect the vibrancy and beauty of the created world around us. But they also often allude to a spiritual theme as well as a representational one. It is my intention within each work to capture a sense of time and place. I would hope to present the viewer with a distilled image that would elicit a response of: “I’ve been there …” If my work achieves this sort of response, then it has done the job that I set out to do. My hope is also that you will not see just pictures and images, but find peace and meaning in the midst of your busy and demanding life."